Hear, O Israel: The Lord our God is one Lord (Deuteronomy 6:4). Now a mediator is not a mediator of one, but God is one (Galatians 3:20). And one of the scribes came, and having heard them reasoning together, and perceiving that he had answered them well, asked him, Which is the first commandment of all? 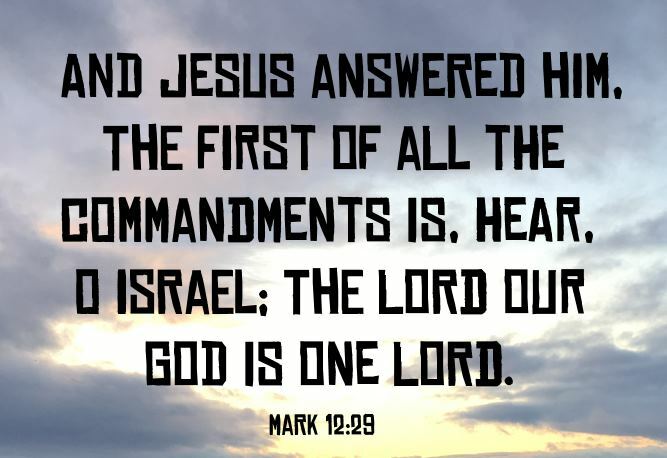 And Jesus answered him, The first of all the commandments is, Hear, O Israel; The Lord our God is one Lord: (Mark 12:28-29). And as Jesus taught in the temple, he said, “How can the scribes say that the Christ is the son of David? David himself, in the Holy Spirit, declared, “‘The Lord said to my Lord, “Sit at my right hand, until I put your enemies (under your feet.”’ David himself calls him Lord. So how is he his son?” And the great throng heard him gladly (Mark 12:35-37 ESV). Jesus was saying that the Lord and Christ, the son of David are one in the same - Jesus Christ. 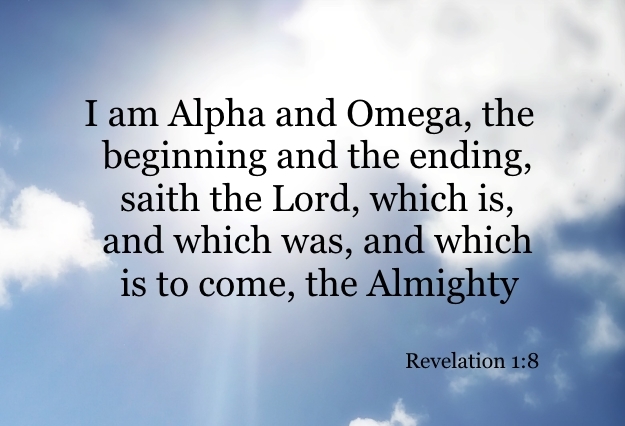 And unto the angel of the church of the Laodiceans write; These things saith the Amen, the faithful and true witness, the beginning of the creation of God (Revelation 3:14). 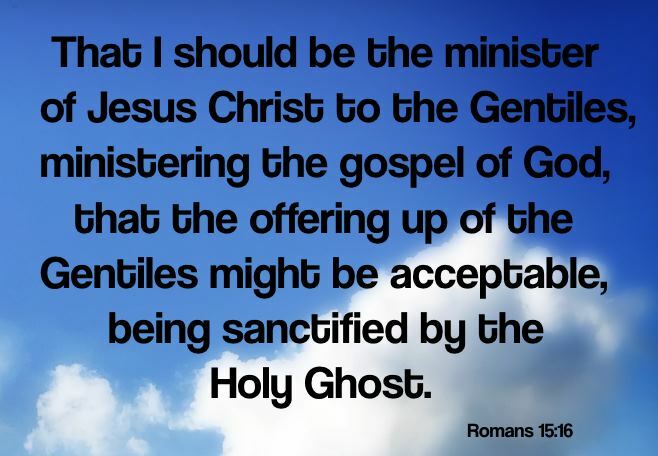 That I should be the minister of Jesus Christ to the Gentiles, ministering the gospel of God, that the offering up of the Gentiles might be acceptable, being sanctified by the Holy Ghost (Romans 15:16). Have I committed an offence in abasing myself that ye might be exalted, because I have preached to you the gospel of God freely (2 Corinthians 11:7)? But even after that we had suffered before, and were shamefully entreated, as ye know, at Philippi, we were bold in our God to speak unto you the gospel of God with much contention (1 Thessalonians 2:2). So being affectionately desirous of you, we were willing to have imparted unto you, not the gospel of God only, but also our own souls, because ye were dear unto us. For ye remember, brethren, our labour and travail: for labouring night and day, because we would not be chargeable unto any of you, we preached unto you the gospel of God (1 Thessalonians 2:9). For the time is come that judgment must begin at the house of God: and if it first begin at us, what shall the end be of them that obey not the gospel of God (1 Peter 4:17). For this is good and acceptable in the sight of God our Saviour (1 Timothy 2:3). But hath in due times manifested his word through preaching, which is committed unto me according to the commandment of God our Saviour (Titus 1:3). Not purloining, but shewing all good fidelity; that they may adorn the doctrine of God our Saviour in all things (Titus 2:10). But after that the kindness and love of God our Saviour toward man appeared (Titus 3:4). Simon Peter, a servant and an apostle of Jesus Christ, to them that have obtained like precious faith with us through the righteousness of God and our Saviour Jesus Christ (2 Peter 1:1). 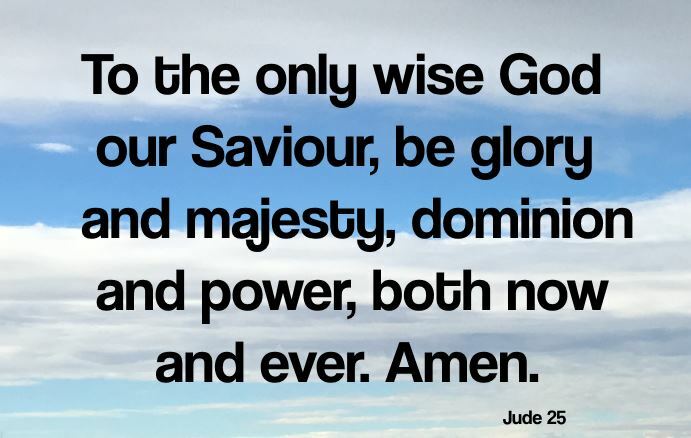 To the only wise God our Saviour, be glory and majesty, dominion and power, both now and ever. Amen (Jude 25).